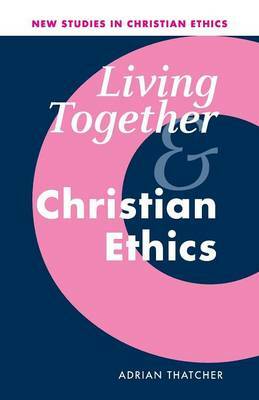 Living Together and Christian Ethics is the first positive, in-depth study of cohabitation outside marriage from a mainstream Christian theological perspective. The book retrieves the traditions of betrothal from the Bible and church history, and shows how these can transform Christian attitudes to living together before marriage. A crucial distinction is made between prenuptial cohabitation where marriage is intended, and nonnuptial cohabitation where it is avoided. Since betrothal was widely understood as a real beginning of marriage, the book argues for a complete pastoral, theological and liturgical renewal that reclaims the riches of forgotten Christian marital traditions and redeploys them in conveying the good news of the faith to women and men who are not yet married. The book takes issue with theologians who marginalize marriage, and suggests that the recognition of marital values can act as a helpful bridge between Christian teaching and people who are not formally married.